Have you heard about one of the most popular products in home intelligence today? It's the Amazon Echo! The Amazon Echo is a hands-free speaker you control simply with your voice. If you’ve heard about the Echo, you’ve probably learned that it is synced with the Alexa app. Wake the device by saying the word ‘Alexa’…and you can do a number of things—instantly. Ready to enjoy this new technology? Try for your chance to win one! Now through August 14th, sign up to be entered to win an Amazon Echo. 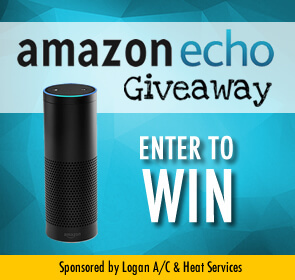 Three local families in Dayton, Cincinnati and Columbus will win a free Echo!